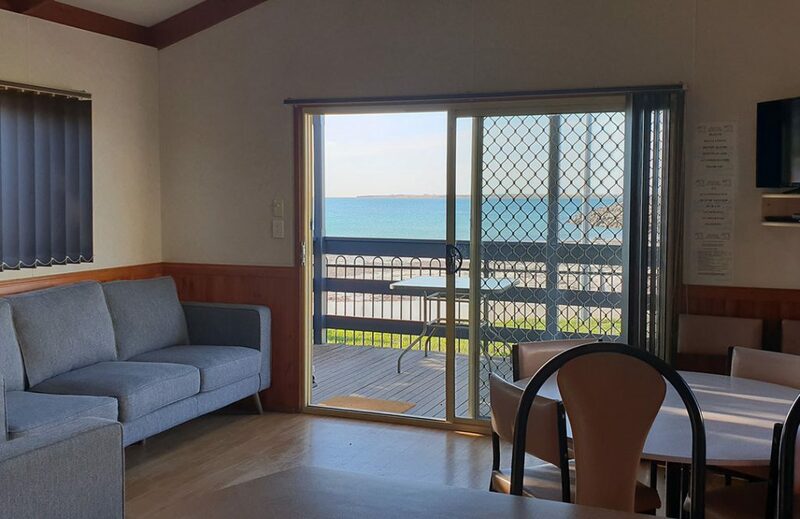 Absolute beachfront deluxe units overlooking Wallaroo Bay. 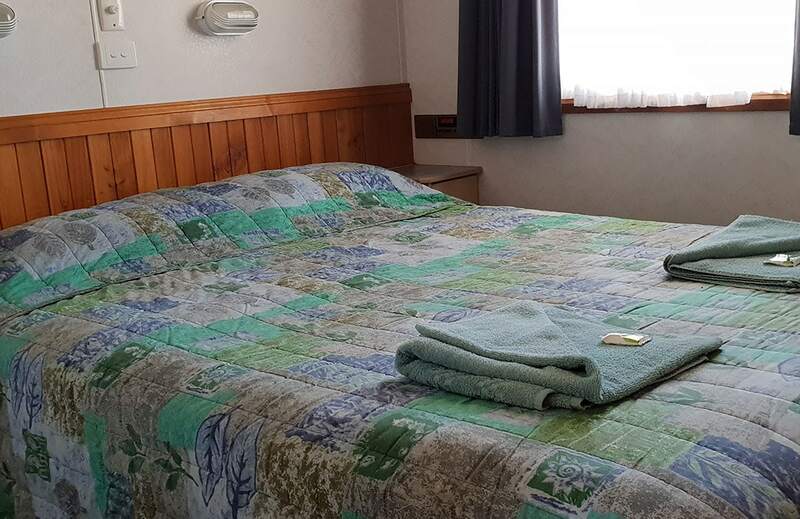 Large two bedroom 6 berth units featuring a queen bed in one room (with linen), and two bunks in the second bedroom (no linen). 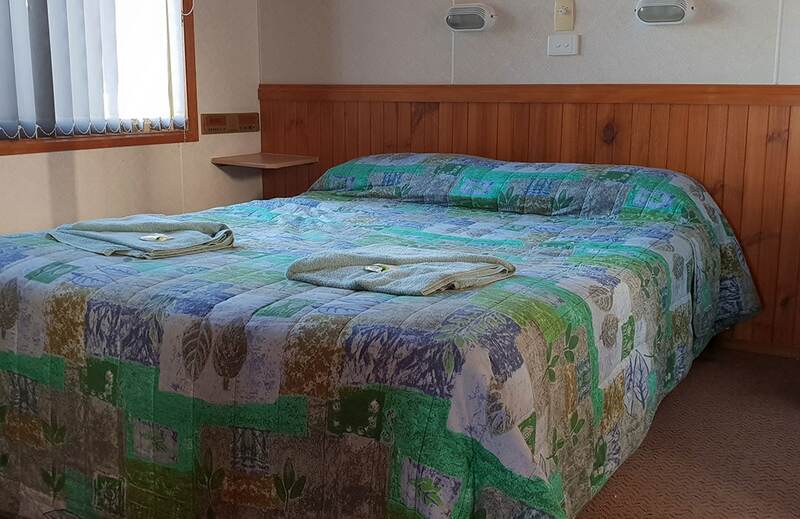 The unit has linen provided for the queen bed. 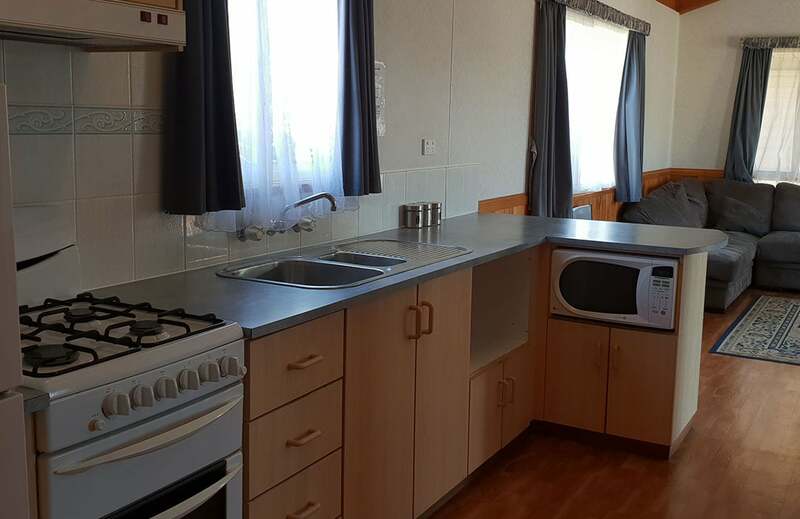 It also has ensuite, a fully equipped kitchen, large fridge, breakfast bar, lounge and dining room, balcony overlooking water, flatscreen T.V, DVD, reverse cycle air conditioner, ceiling fans and microwave, etc. 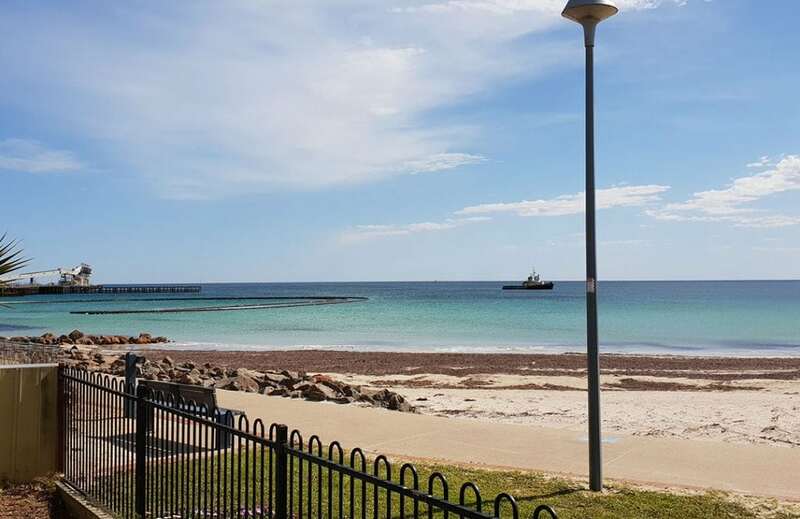 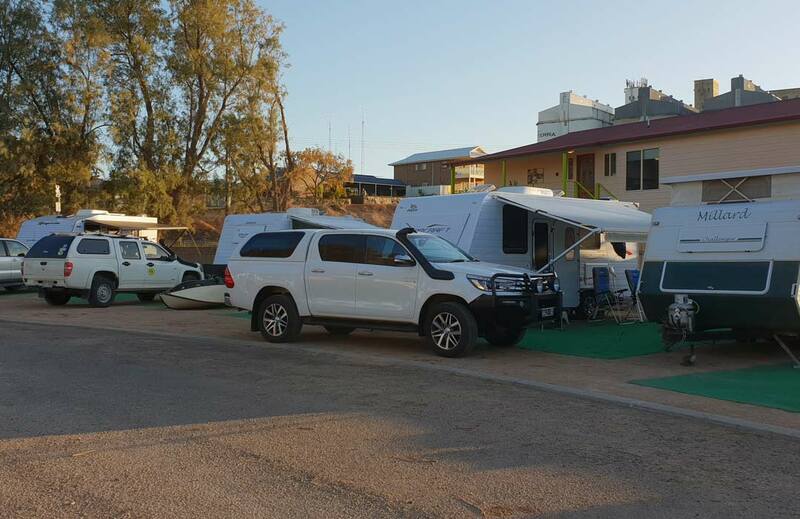 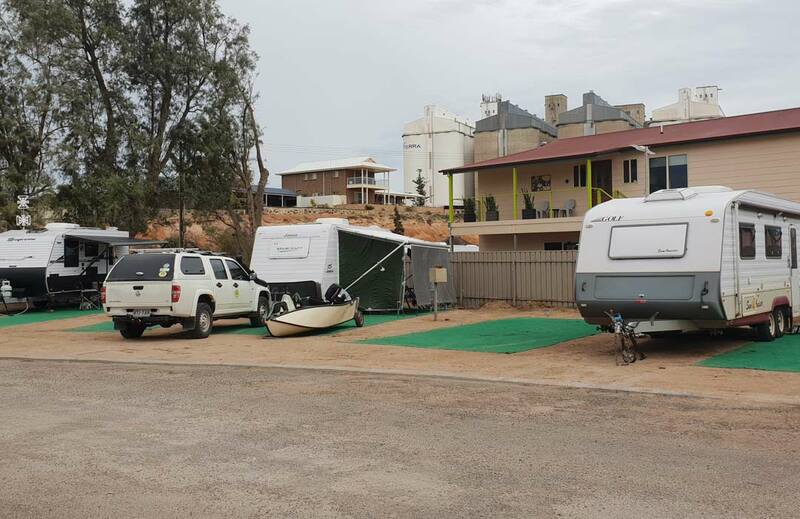 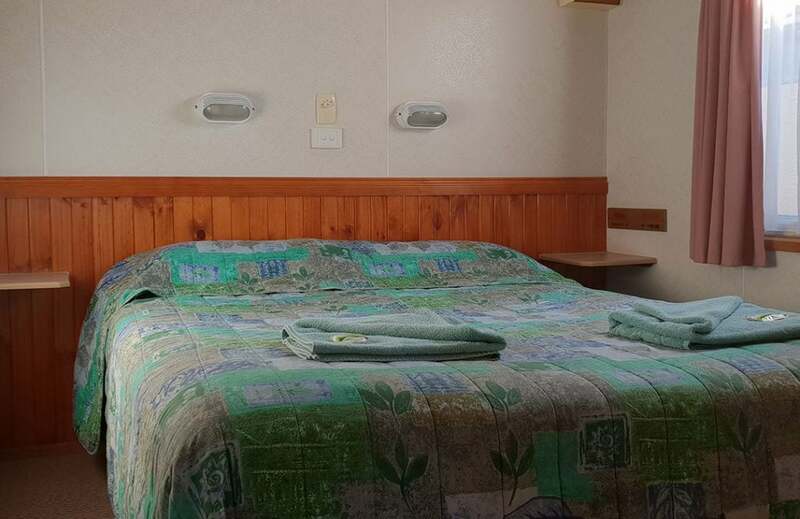 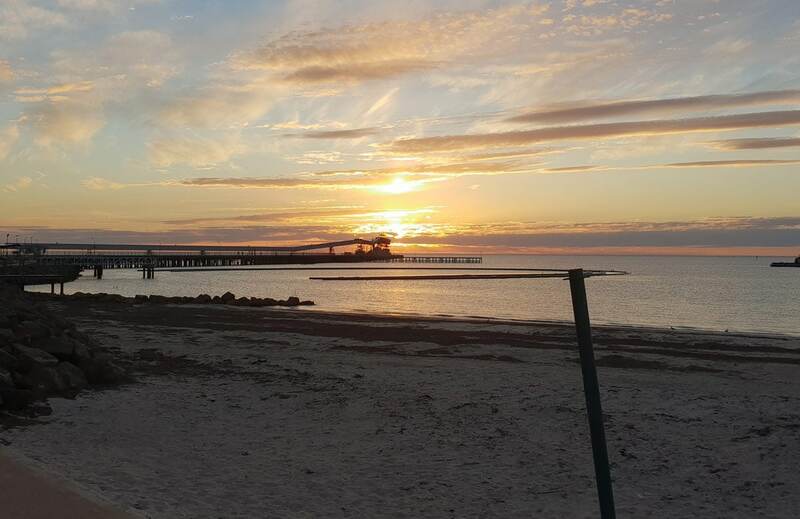 This two berth unit overlooks stunning Wallaroo Bay and is fitted with a queen size bed and traditional en-suite. 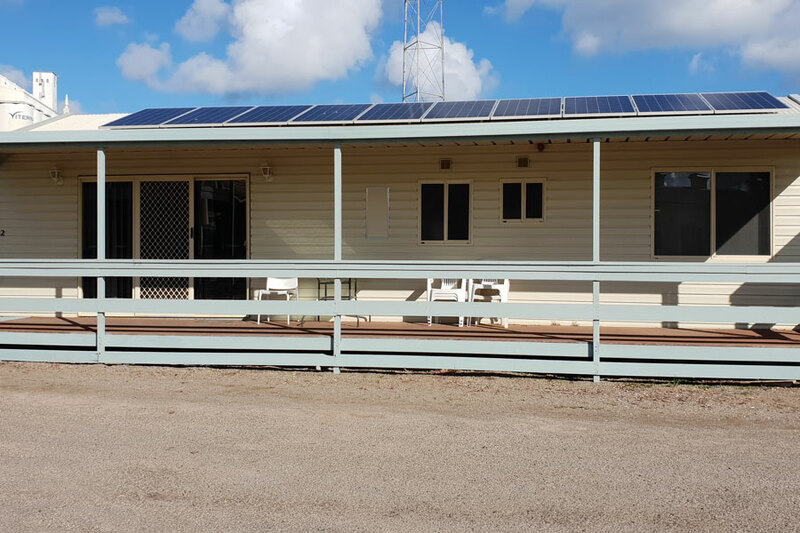 This unit is completely self-contained, with a fully equipped kitchen including a stove, oven, grill, microwave oven and small fridge. 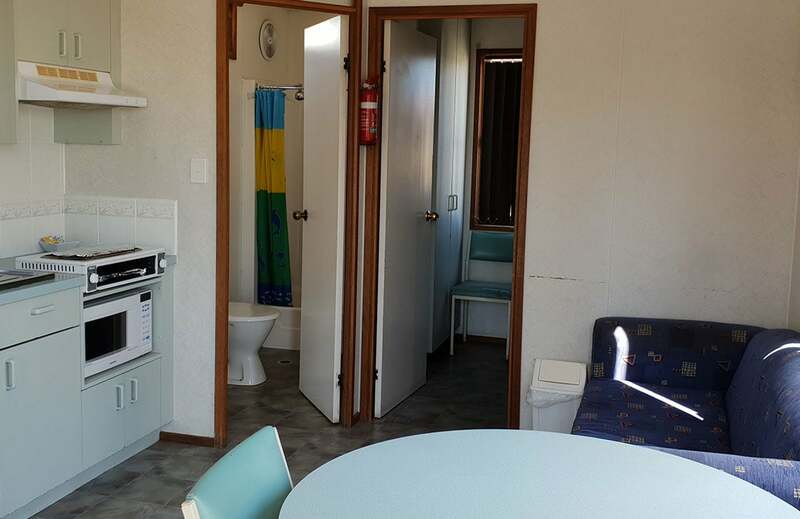 There is also a small fridge, flat-screen TV, DVD player, lounge, and a cozy two-person spa in the bathroom! 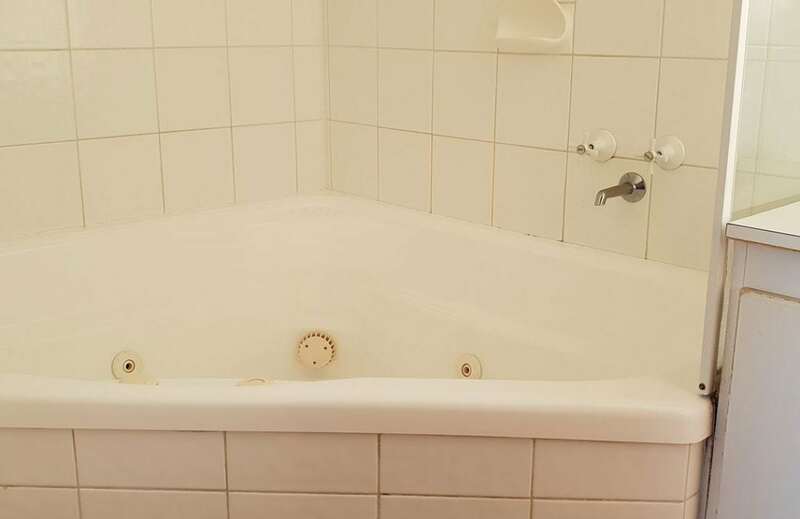 Everything you need for a romantic getaway. 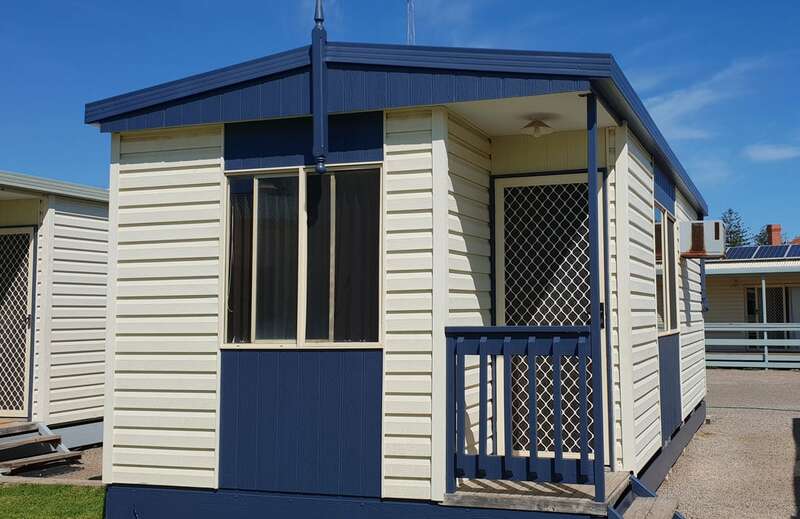 Our Deluxe units are the newest addition to the park and are already proving to be hugely popular. 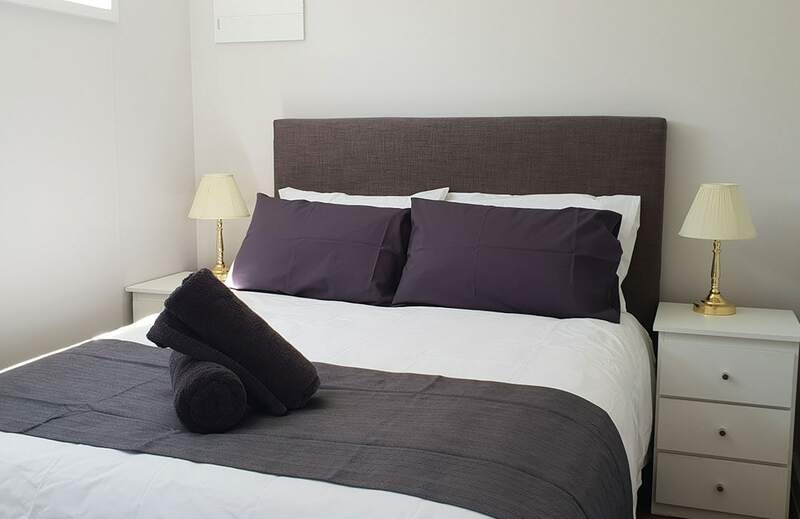 They are the ultimate accommodation, with a modern design and great features ensuring you have the best stay! 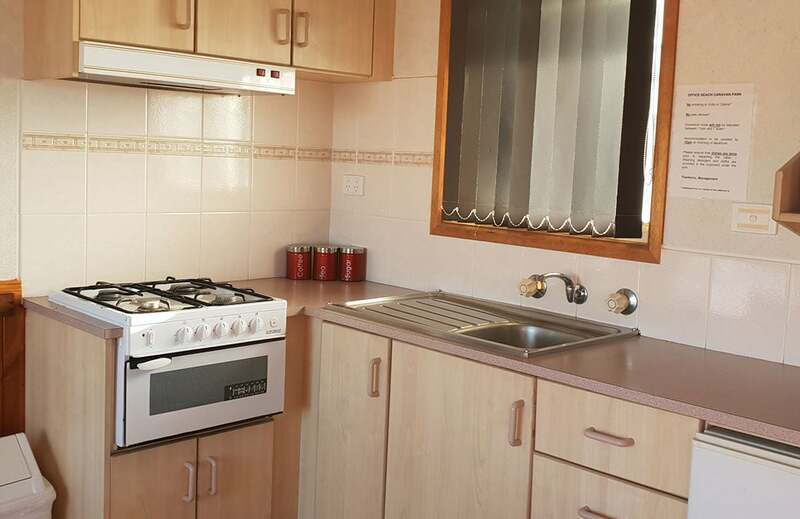 Inside there is a new and fully equipped kitchen including an oven, fridge and microwave. 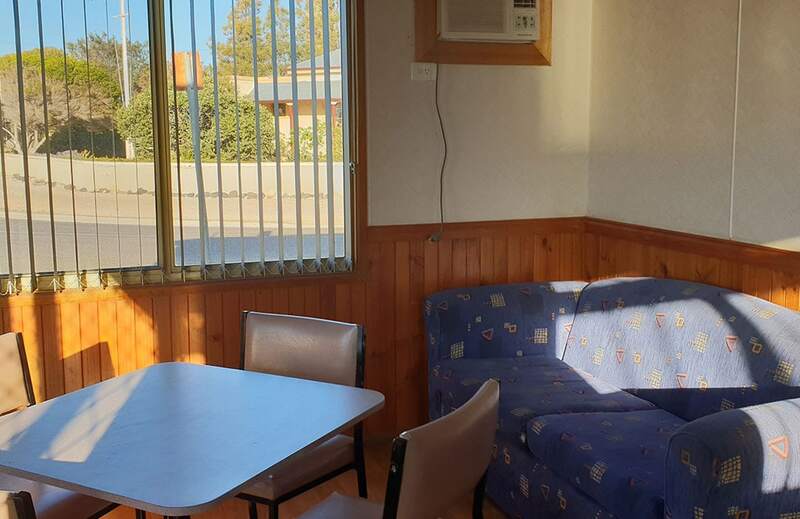 The room also have a flat screen TV and an outdoor table to enjoy and take in the beautiful surroundings. 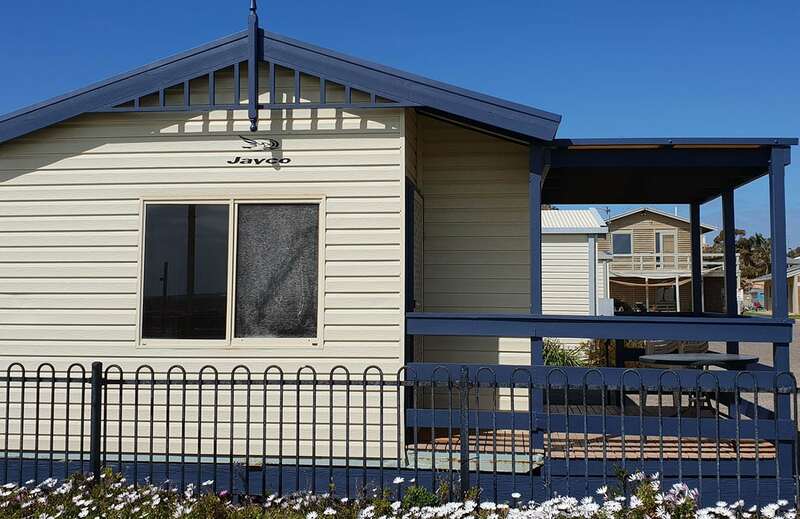 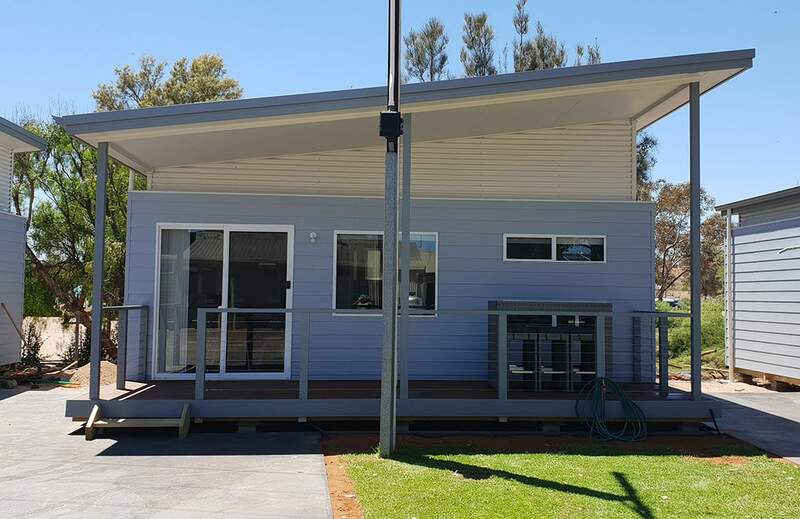 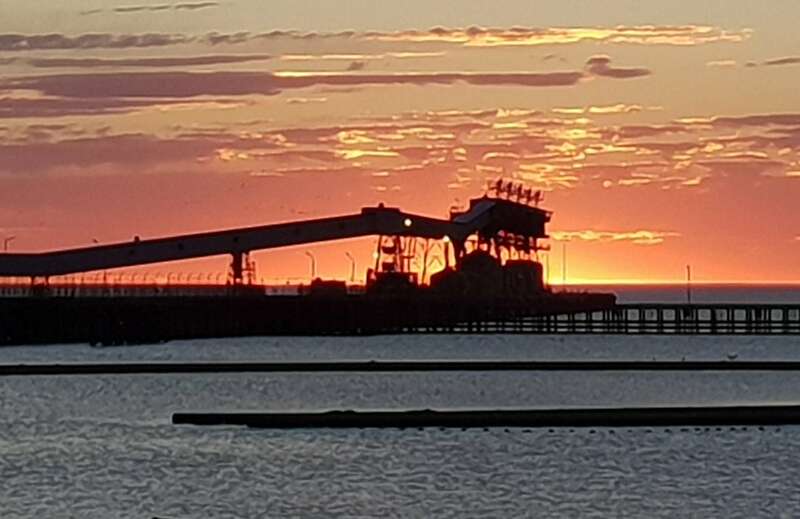 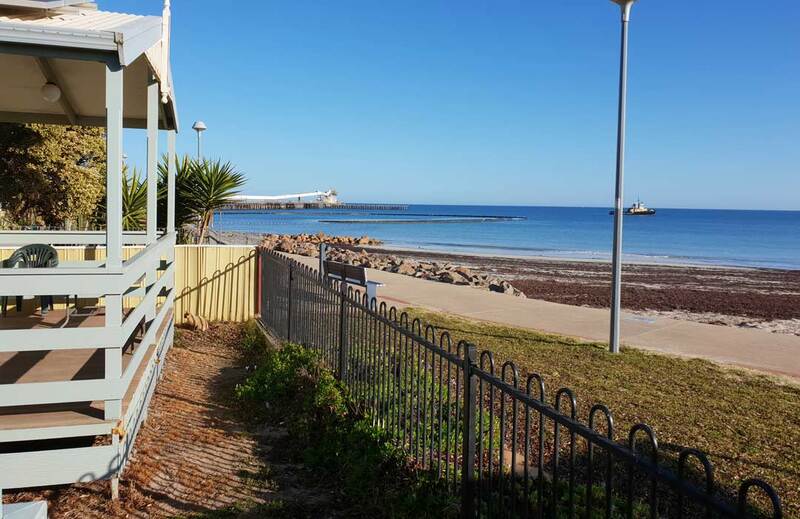 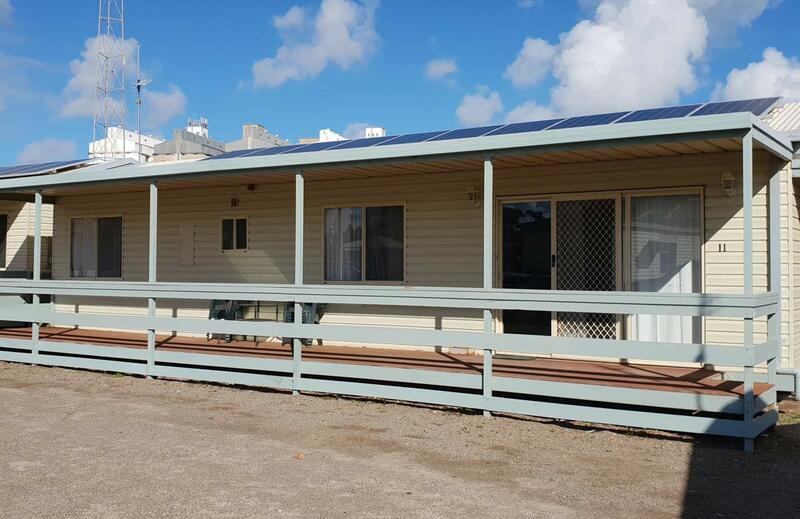 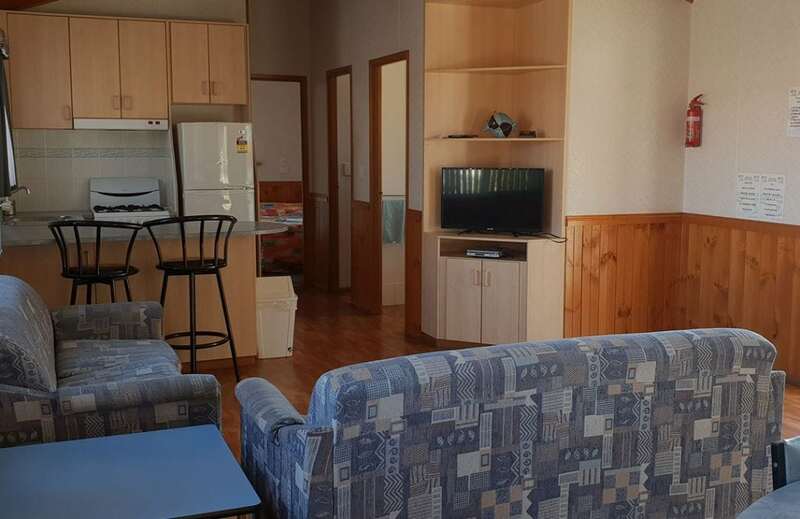 Absolute beach front deluxe units overlooking Wallaroo Bay. 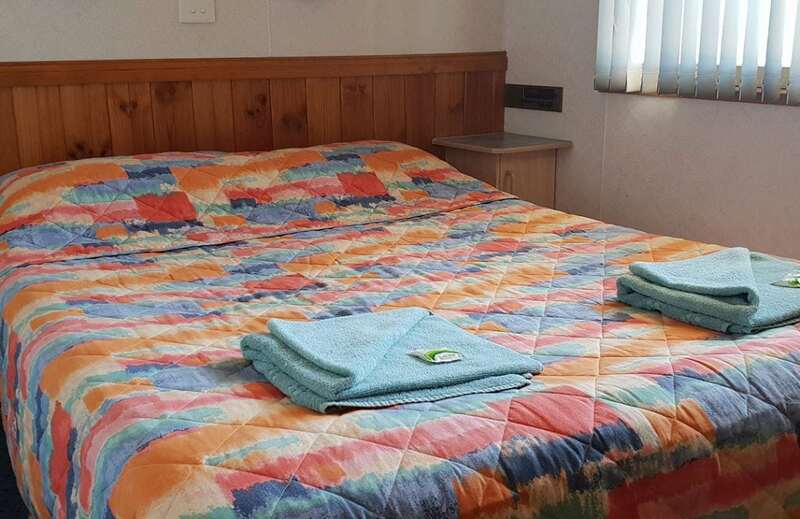 Large two bedroom 6 berth units featuring a queen bed in one room (with linen), and two bunks in the second bedroom (no linen). 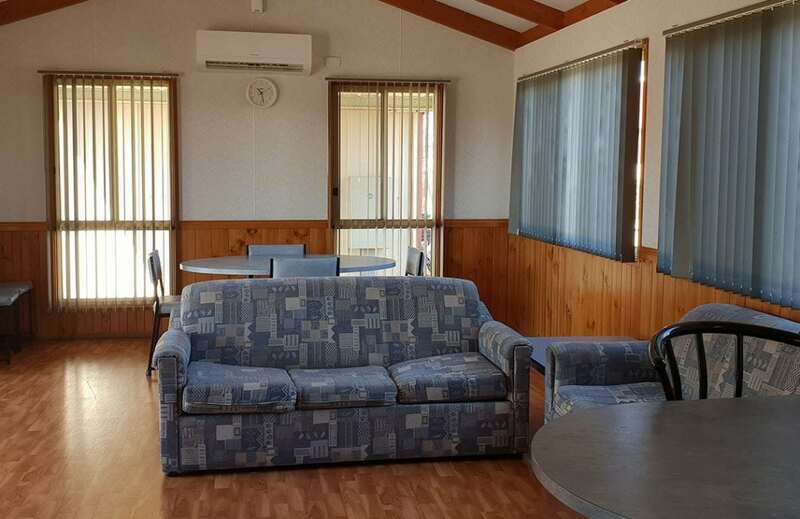 This is truly a home away from home as one of the biggest park cabins you will find, with 3 bedrooms that are ideal for families or groups of friends. 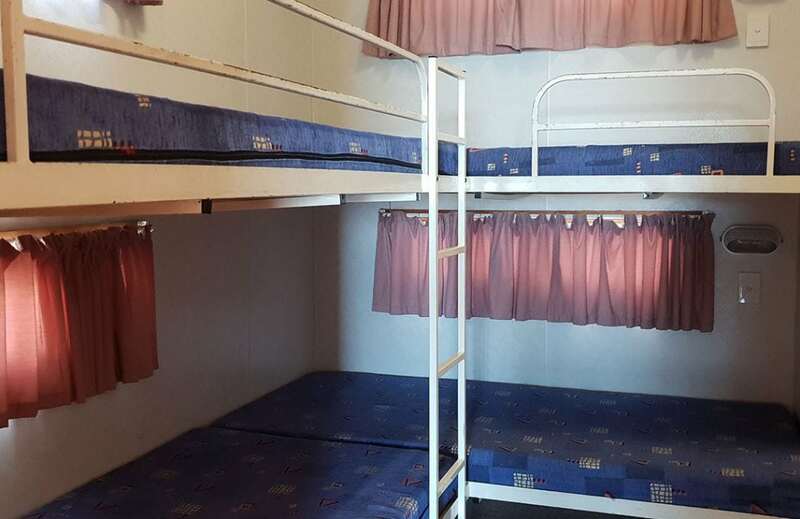 The main bedroom has a queen bed, TV and an en-suite bathroom; the second bedroom is equipped with a queen bed, ample storage space and a TV; and the third is decked out with double bunk beds and a separate toilet and bathroom. 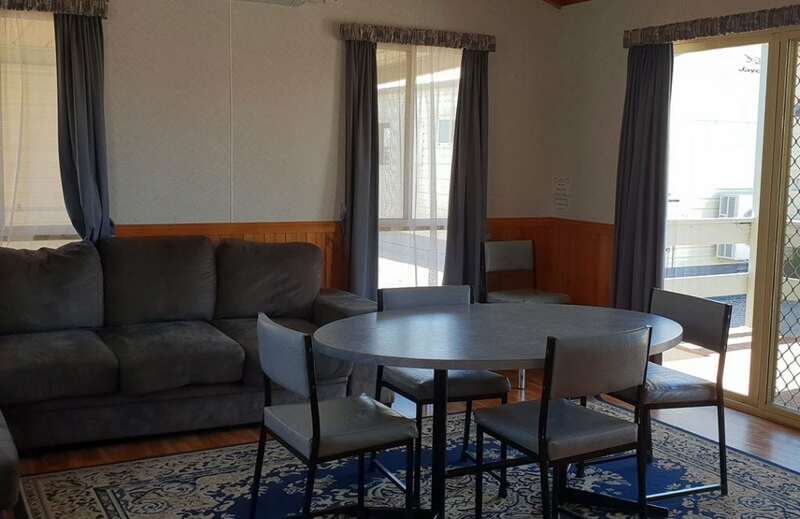 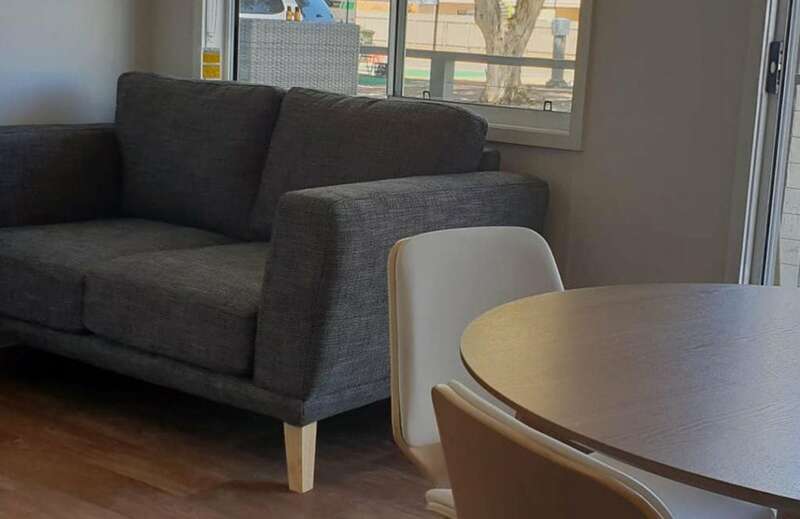 After a long day of exploring the town and area, relax in the large lounge with 2x three seat lounges, flat-screen TV, DVD, split system room temp, and controlled air conditioner, or spend the days on the large balcony enjoying the sun. 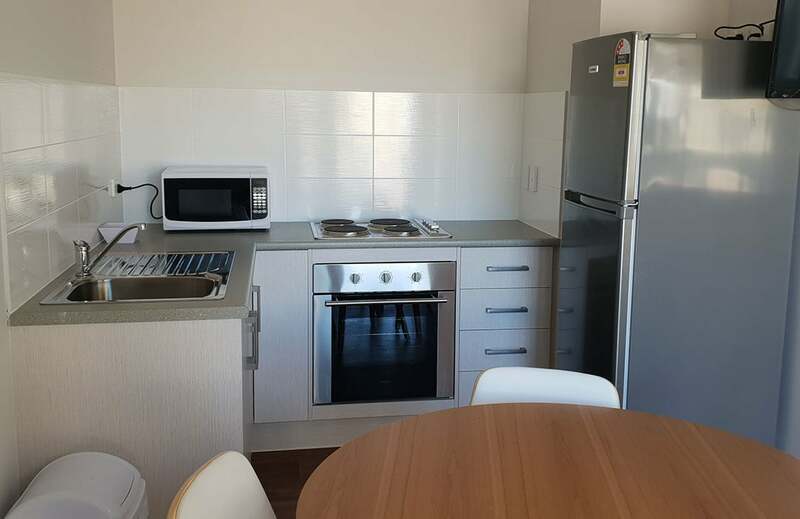 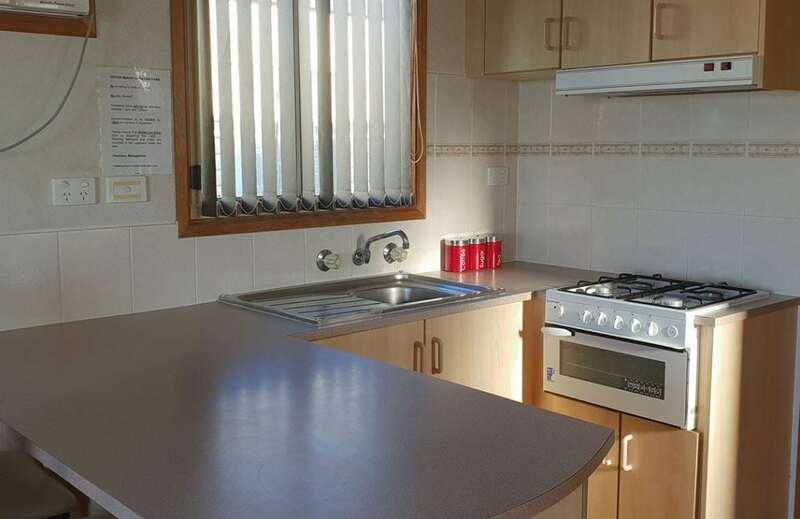 The unit also has a fully equipped kitchen with a full-size stove and fridge. 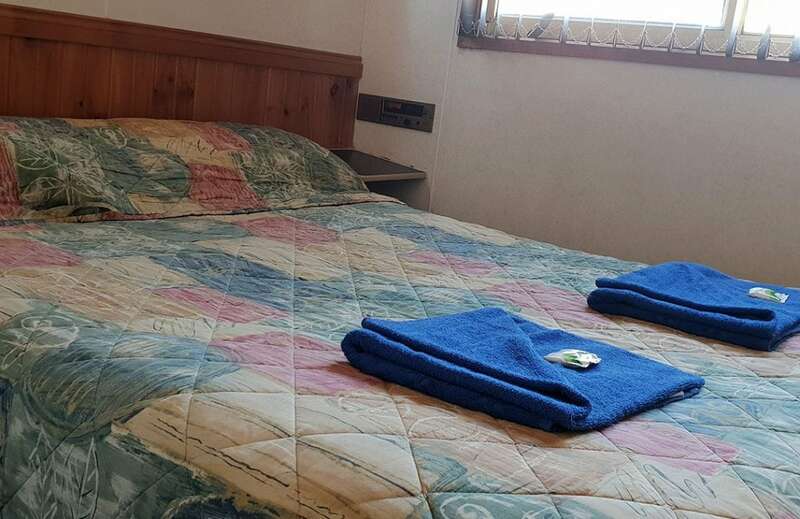 Linen and towels are included for both queen beds only. 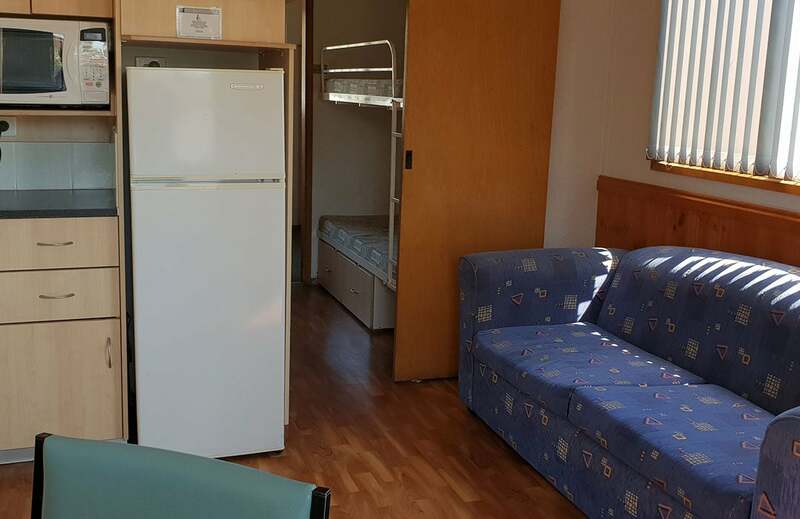 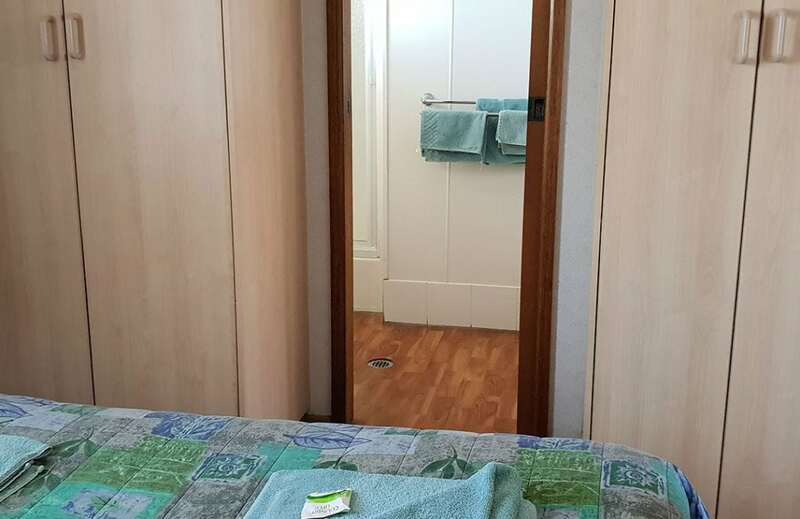 These units are studio format, double bed triple bunks all in one room parted by curtains. TV, DVD, large fridge, microwave, toilet and shower. 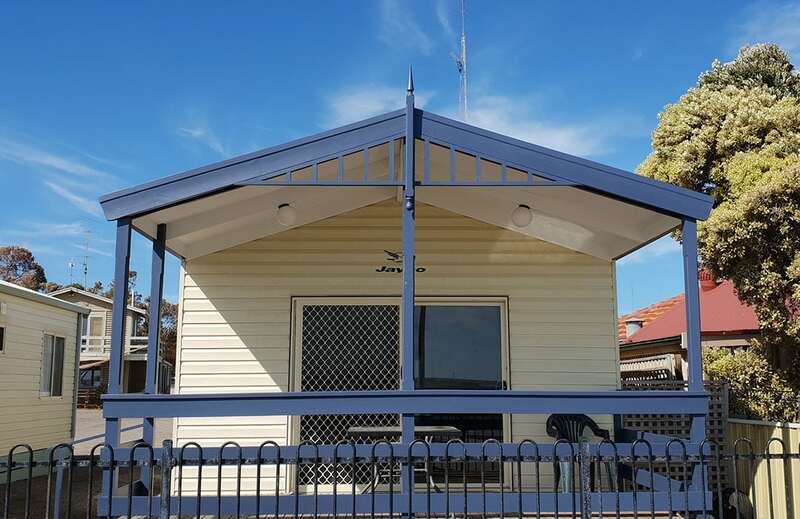 Most have pergolas to make your stay a pleasant one. 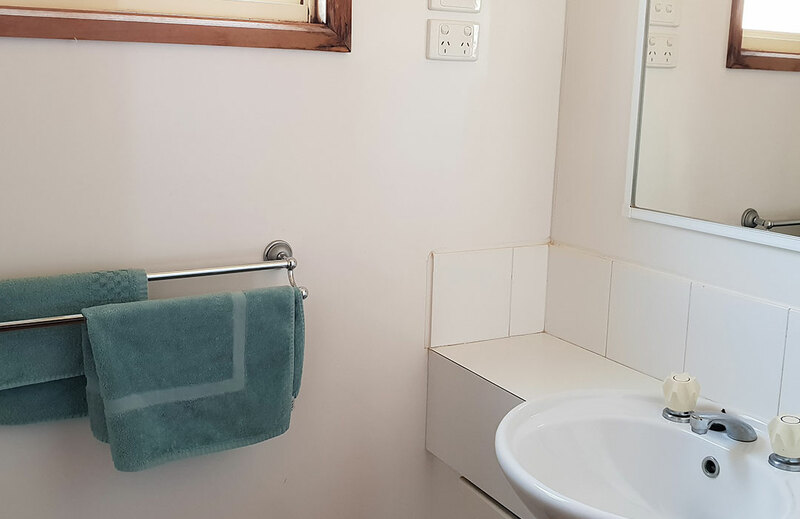 No linen supplied. We have 18 powered sites to choose from, all of which have an AstroTurf surface to help us keep the park tidy, while saving precious water supplies. 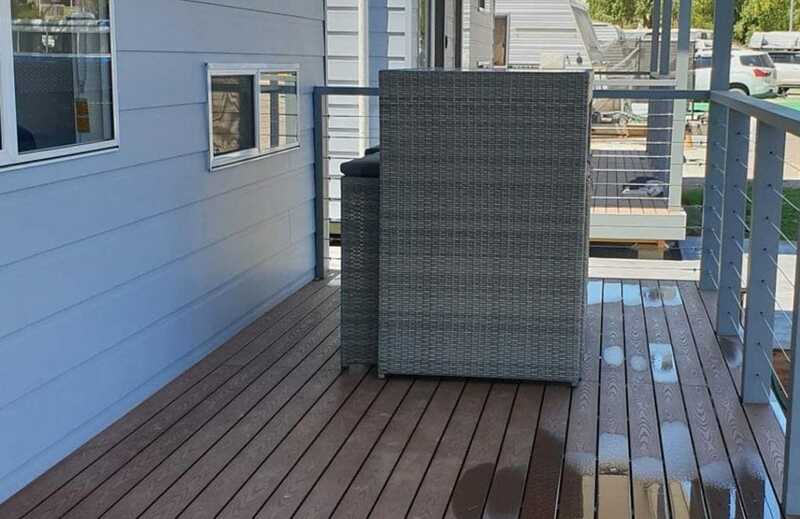 All sites are protected from weather and are close to the amenities block.